Guest lecture for INFO-I 300. Instructor: Gopinaath Kannabiran. Have you used snapchat? From my viewpoint, Snapchat’s UX feels very clumsy sometimes, but it’s very interesting. When I started using this app, I felt that gestures and screens were everywhere, I had no idea about what was going on! Swiping here, tapping there! I guess it breaks somehow one of my rules as a designer and teacher: always tell the user where she is, and where she can go from here. However, I also considered that young users are so used to smartphones and gestures, and swiping screens 100 miles per hour, that it’d be me who is a bit old to use snapchat. You know, that snapchat is for cool young fellas. Also, it took me a while to get what the icons (visual cues) in the interface means I wasn’t sure why sometimes I see this or that icon. For example, the public snaps (known there as a user’s story) have a little pie chart icon. I wasn’t sure if it’s about time or number of public snaps. It took me a while to understand that it’s about the life of the public snaps, the remaining time they have before they disappear. Notwithstanding, I have to emphasize an aspect about Snapchat. This app has a UX/UI quality I do research on: delightfulness. Certainly, applying filters to your face contributes to having a delightful UX. It’s pretty fun to see yourself be converted into a puppy, rainbow pukey person, or a nymph. People love it! I do think that Snapchat filters have contributed a lot to making this app something mainstream, finally. The app’s been out there for a while and it seems that it hadn’t taken off. Nevertheless, it’s not only about the filters. I do enjoy and appreciate how interfaces components are animated in Snapchat. For example, when you close a public snap, it’s quite cool to have that circle out transition when you make a long swipe. I see this combination of gesture (long swipe down) and animation (transition) just great! It breaks the boring idea that screens are only to be tapped on. I think part of this UX delightfulness relates to what Snapchat could become: the new television. It seems quite enjoyable to “decide” what you want to watch and follow–of course, we have to consider all the brands (channels) that Snapchat puts there for us to watch. It’s somehow like a new way of switching channels. Just tap on the things you want to watch or not, and do it at any time and any place. Further, there’s a chance to communicate with the snap creator, to influence and be influenced, to be a receiver but also a sender. Snapchat also allows us to emphasize the uniqueness of the moment or experience by adding geofilters, in which imagery functions to add more meaning and also to make an emotional connection. And everything happens so fast, just in 10 seconds! This seems to be pretty convenient for satisfying our need for information consumption in this now information overloaded world but without making us feel that we need to invest to much time on it. Don’t you think that this is exciting but a bit scary at the same time? I can’t wait to see how Snapchat’s UI and UX will be improved. I’m not talking about having more filters and other fun and funny interactive features. 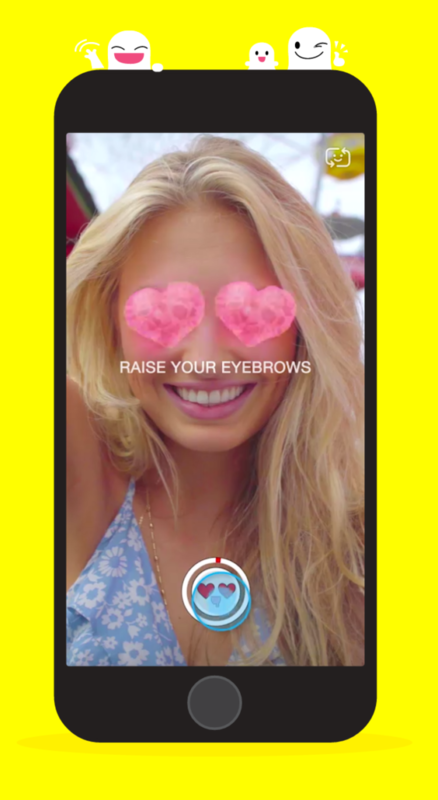 I look forward to seeing how far Snapchat gets in the redefinition of mass media, marketing, and public participation. Instagram, YouTube, and Snapchat seem to be on the same playfield. Let’s see how that turns out, and how their game will affect us and our everyday forms of communication and action. I came across the video of the new Facebook “Reactions.” It was a nice surprise going beyond the “dislike” button that everyone was talking about weeks ago. Today we’re launching a test of Reactions — a more expressive Like button. The Like button has been a part of Facebook for a long time. Billions of Likes are made every day, and Liking things is a simple way to express yourself.For many years though, people have asked us to add a “dislike” button. Not every moment is a good moment, and sometimes you just want a way to express empathy. These are important moments where you need the power to share more than ever, and a Like might not be the best way to express yourself.At a recent Townhall Q&A, I shared with our community that we’ve spent a lot of time thinking about the best way to give you better options for expressing yourself, while keeping the experience simple and respectful. Today we’re starting to test this.Reactions gives you new ways to express love, awe, humor and sadness. It’s not a dislike button, but it does give you the power to easily express sorrow and empathy — in addition to delight and warmth. You’ll be able to express these reactions by long pressing or hovering over the Like button. We’re starting to test Reactions in Ireland and Spain and will learn from this before we bring the experience to everyone. We hope you like this – or can better express how you’re feeling! This reminds me that moment when I couldn’t image how an iPod (old generation) could be used to browse the internet. This “Reactions” new micro-interaction design is similar: instead of just thinking that the next step is a “dislike” button, FB now offers a wider range of emotions; which I’d bet they’re thought carefully (if not based on data). Another nice detail is moving away from the tap. The tap is obstructive. Swiping below the emoticons/emoji (with no need of a slider) is not. It’s a subtle but interesting change in the way we understand how gestures, UI widgets design, and affordances work. Why did I find Spotify using my profile picture as an album cover a little bit disturbing? Later, I mentioned in facebook that using my profile picture for the “Discover Weekly” album is a little bit scary. Moreover, I tweeted that although Artificial Intelligence (AI) could be the next big thing in UI/UX design, we shouldn’t forget taking care of the execution, the how, the form — By the way, this somehow sarcastic since tweets before I was arguing that just paying attention to the looks leads to a poor understanding of what design is (after watching the “Why Design Matters” video). Later, someone asked me on Facebook to explain what I was meaning of my post and provide an example of how the design could be “better.” This person argued that such a design decision helps to “merge” the self and (his/her) music. I think he’s a good point. However, to me, this design decision was a shocking micro-experience with Spotify. Below, I re-write what I posted on Facebook. 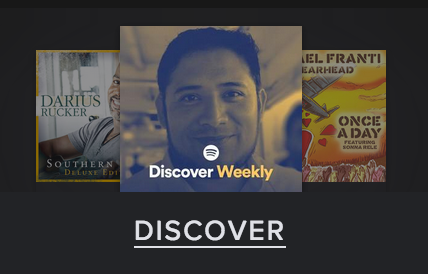 The concept of agency came to my mind when I opened Spotify and saw my profile picture being used as the cover for the “Discover Weekly” album. I think it’s great to like or “plus” a song, and thus to think that I decide what music/genre I like and want to listen. From my perspective, this provides a feeling of empowerment to the user. However, I lost that feeling of agency or empowerment when I saw my profile picture. Setting the music on Spotify is part of my work routine and I was not expecting to find something like that today! Seeing “myself” as an album cover made me feel that I became a thing, an interface component; that Spotify had objectified me, transformed me in another interface component. The idea of being de-humanized crossed my mind. I know it’d sound too dramatic, but coming across this UI change provided me an example or situation wherein micro experiences are important. It’s interesting to see how just a little thing provides an element of surprise that lasts just a little bit! A micro-moment that affected my UX with respect to Spotify for the whole day today! I have to acknowledge, nevertheless, that I might be too sensitive since I’m trying to understand how these ideas of user experience, phenomenology, persuasion and rhetoric, identification and rhetoric, and denotation and connotation work in interfaces. And about my proposal of making this UI change better, first, I have to say that I wouldn’t argue for “better.” A less shocking transition, perhaps. As I commented on FB, Spotify could have introduced me this idea of the “Discover Weekly” in a more ludic way. As it occurs when Spotify doesn’t allow you to interact with the interface and you have to wait seconds to see an ad, one possibility would be having a similar dynamics. Showing this concept and probably letting the user picking the album cover. Once set, it fades away. Of course, there is nothing wrong or bad with that design decision for the Spotify’s interface. I’d like to emphasize that. 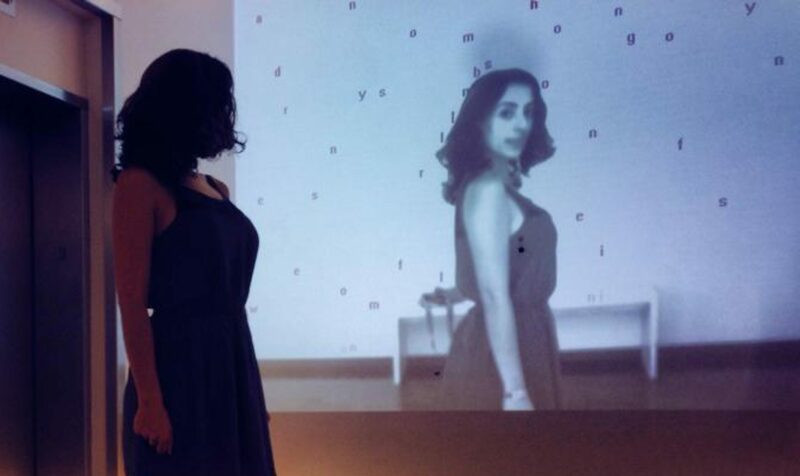 Perhaps, this idea of the profile-album-cover has been evaluated with good results. Possibly, I don’t express the archetypical user’s desires for this case (functionality and part of the interface). Perhaps, a later evaluation will come, and a different proposal will be implemented. That’s the way design is. However, I’d emphasize that the capability of implementing smart functions in a system is just a part of the UI/UX design.